diameter: 19.5cm, height: 12.4cm, weight: 724 grams. 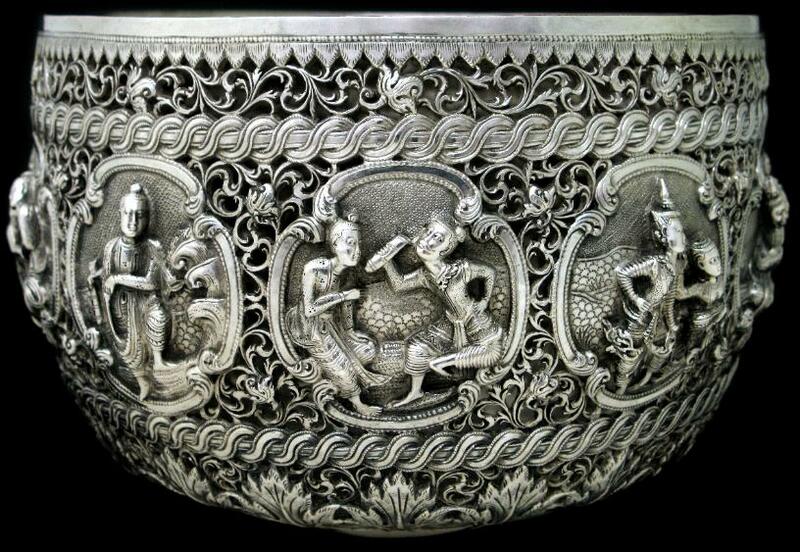 This stunning bowl is a fine example of the heights that Burmese silverwork reached. It has ten roundels repoussed with Burmese courtly and other scenes amid a background of finely executed open-work. 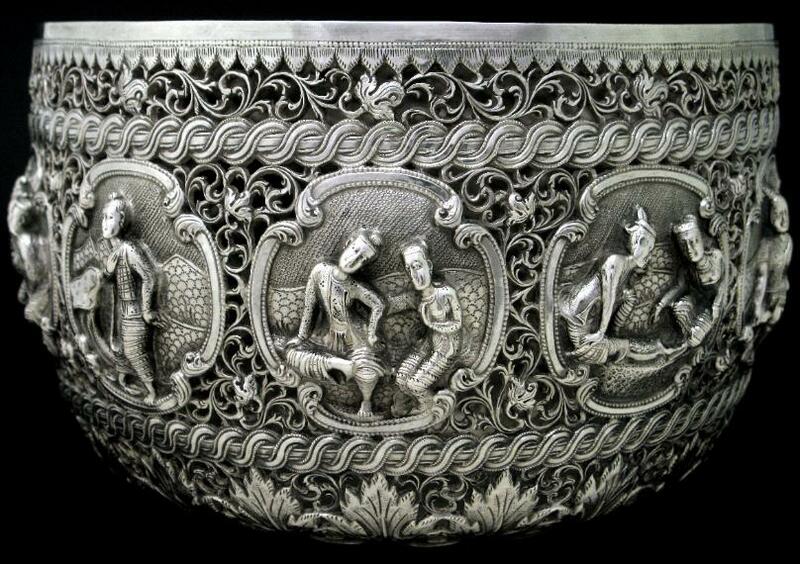 Work of this type is associated with a small number of silversmiths who worked at Moulmein (now called Mawlamyine and located around 300km south east of Rangoon) in Burma in the early part of the twentieth century. 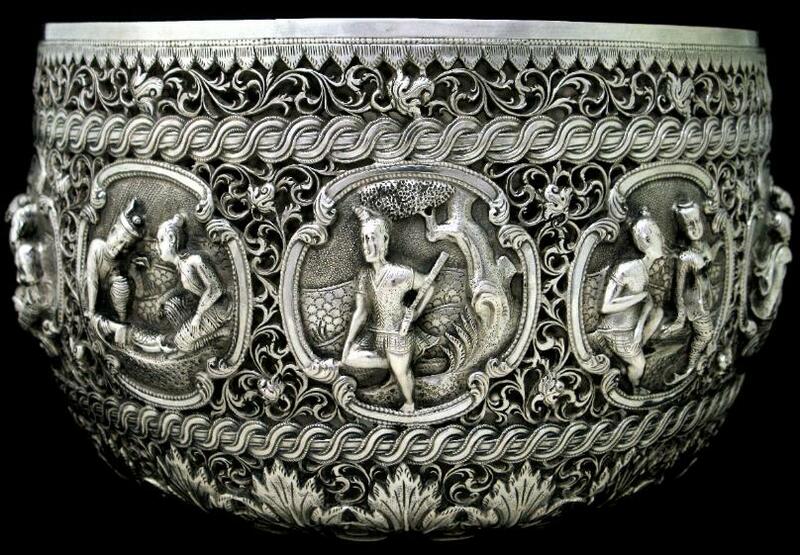 A bowl similar to this is illustrated in Tilly, H., The Silverwork of Burma, Superintendent of Government Printing and Stationary, Rangoon, 1900, and reproduced in Fraser-Lu, S., Burmese Crafts: Past and Present, Oxford University Press, 1994, p. 179. Apart from the openwork, the other important similarity are the two bands of ‘S’ shaped twisting which border the roundels on either side. This feature is present in both the Tilly bowl and this example. 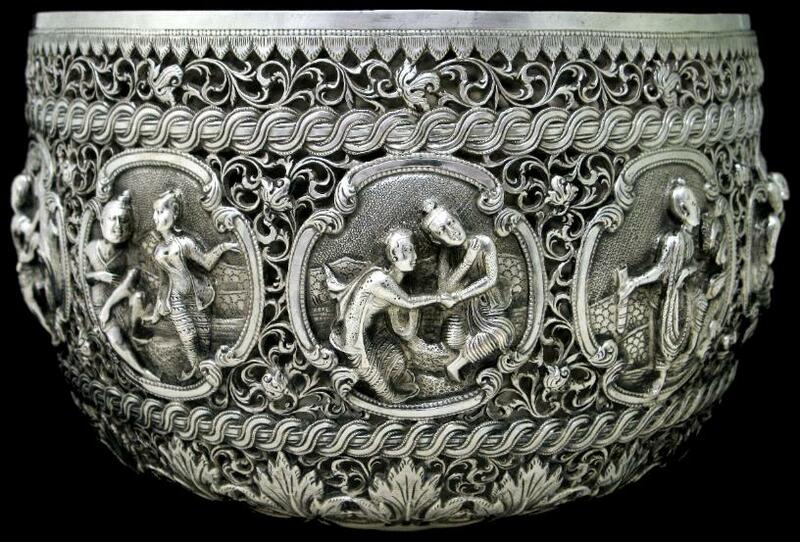 Items in the Tilly book were all prize-winning items of Burmese silver drawn from various provincial art competitions and government exhibitions in Rangoon, Delhi and Calcutta. 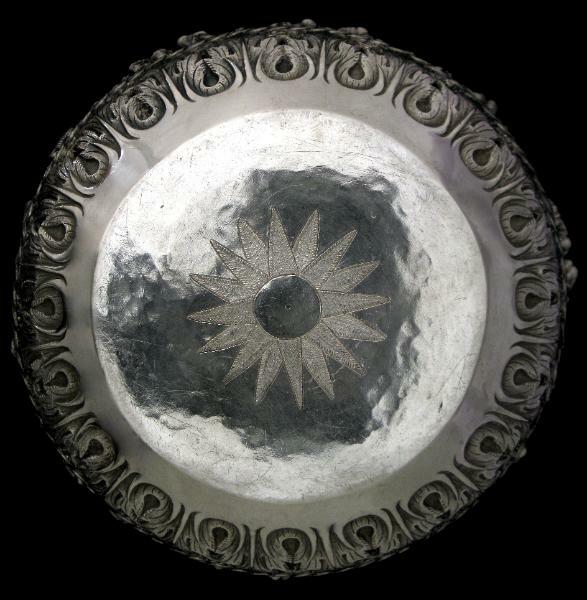 The base of the bowl is engraved with a double star burst (see the image below).